* The already STIG students are also welcome to attend, as this session may be an opportunity to review your curriculum in the program. Previous registration is not needed. 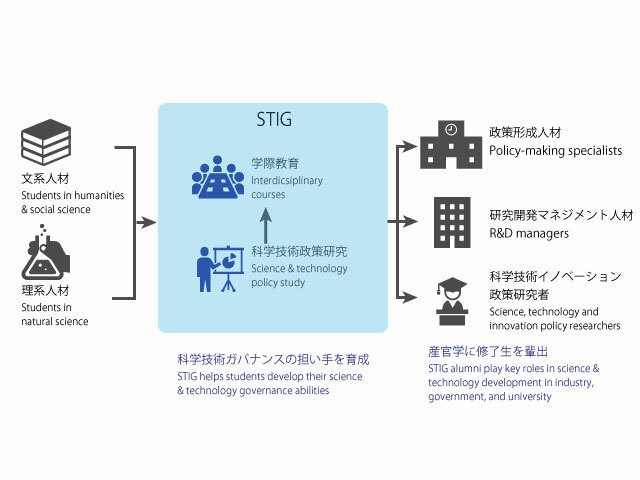 The University of Tokyo STIG education program is an interdepartmental graduate education program which makes use of our strengths as a comprehensive university, and builds a collaboration platform between practitioners and researchers in law and politics, economics, medicine, information science, and other fields, primarily at the Graduate School of Public Policy and the engineering graduate schools, to foster the development of human resources who can link science and policy. Be free to ask us for any questions regarding this program.